The Concerta2 series of loudspeakers combines elegant design and superb finish quality with the award-winning sound for which Revel is revered. 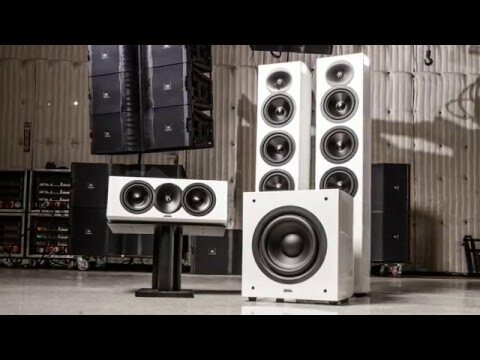 Instead of sacrificing performance, appearance, or construction quality to simply make them more affordable, Revel’s designers and engineers utilized the results of years of research to make Concerta2 loudspeakers truly in a class by themselves. Utilizing advanced waveguides, Acoustic Lens technology, Klippel®-optimized transducers, patented crossover topologies and port designs, this new range of loudspeakers combines best-in-class acoustic performance with an elegant and luxurious aesthetic that belies their price point. The result is a loudspeaker that truly lives up to the Revel standard of excellence. Revel engineers utilize state-of-the-art computer modeling tools during transducer design to optimize everything that affects performance. Laser-based analysis of the resulting prototypes confirms ideal symmetry, which results in lowered distortion and cleaner sound quality. And Micro-Ceramic Composite (MCC) cones insure ideal piston-like performance, eliminating resonances that would otherwise color the sound. Utilizing a patented Constant Pressure Gradient (CPG) technology in the port design, the Concerta2 ports are designed such that the inner wall of the port is contoured, allowing the change in pressure along the axis of the port from inlet to outlet duct be kept substantially constant. This design reduces the compression, or change in sound at different volumes that is present in other port designs, and optimizes both the output capability and distortion. Revel engineers created a tweeter with a mechanical resonance that is well below the operating band — which ensures linearity and consistency in the crossover region. Advanced design methodologies have allowed the tweeter/midrange crossover to be set an octave lower thereby improving the critical system directivity.